Haven’t caught up on the beers I’ve sampled in a while. Lets give it a go. First up, a great couple of summer beers, a la my deck. Two great American “micro-breweries”. I italicize as both are bit bigger than that now, but both still have a great product. 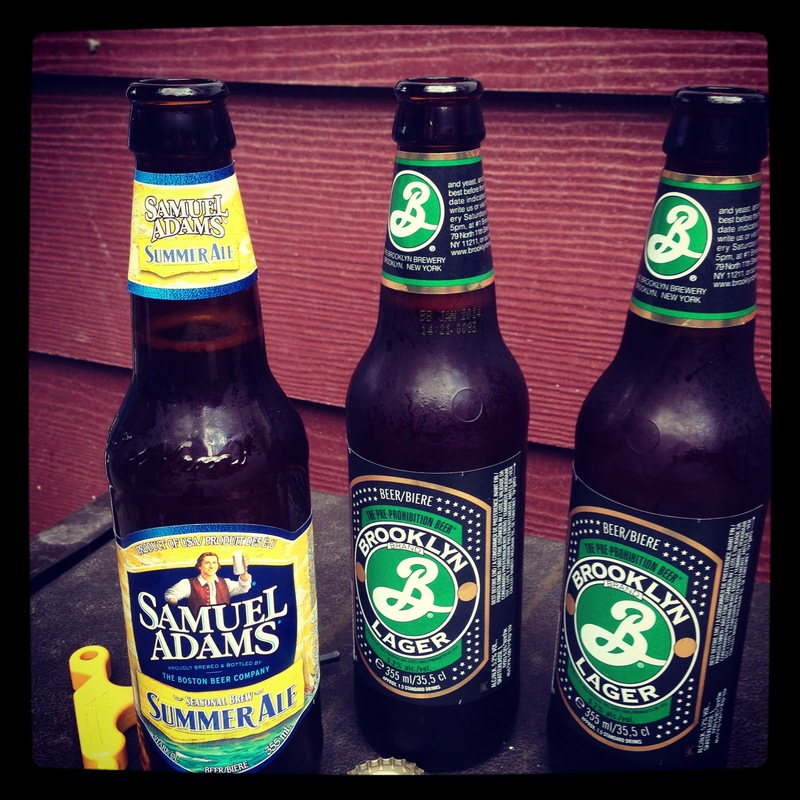 Brooklyn Lager and Samuel Adams Summer Ale. Next up, we have a memory from our Antigua trip in April. Had never seen it before in Calgary, so had to buy it. Unfortunately, not as good as I remembered it. 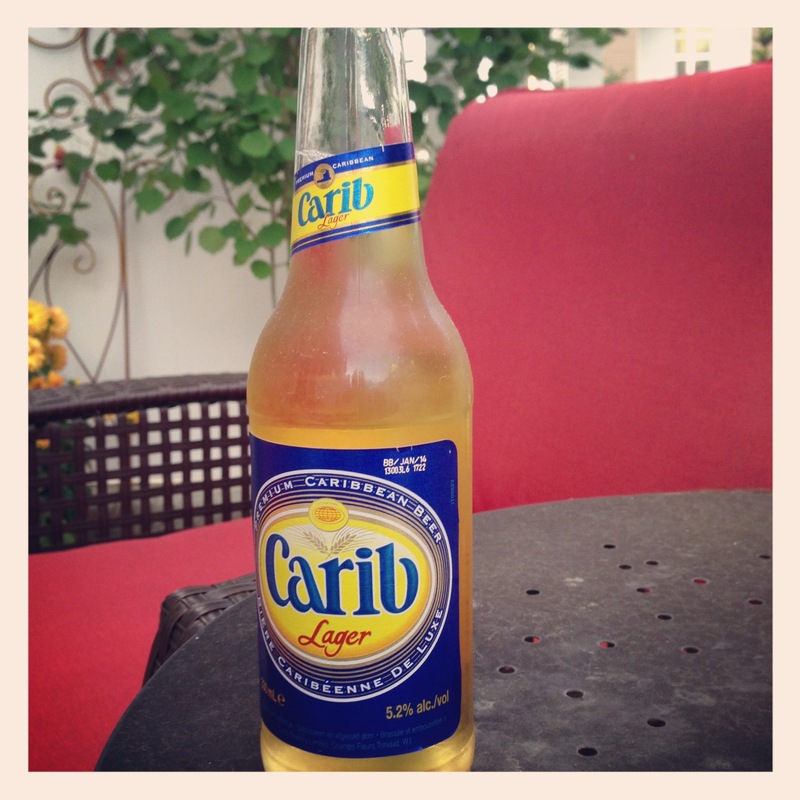 Carib Lager. Had this one in Newark, New Jersey. 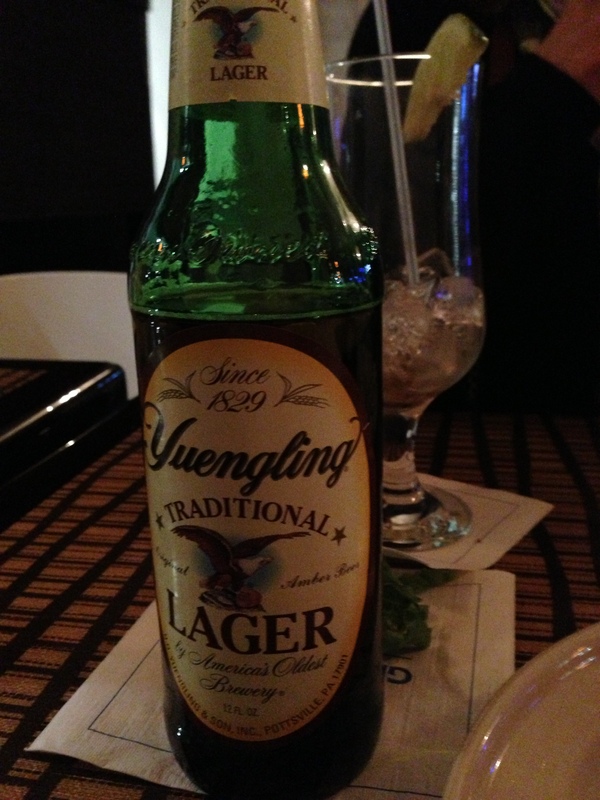 Yuenling lager. Oldest brewery in the USA? Excellent beer. 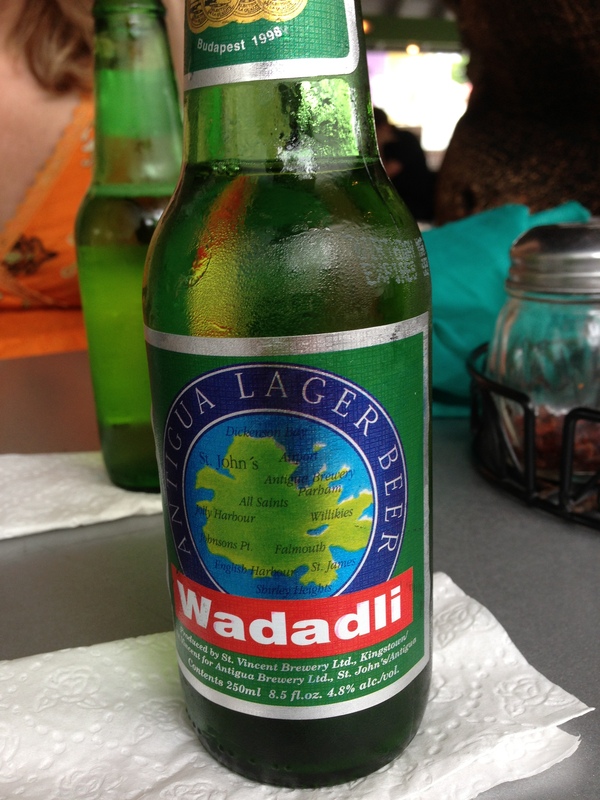 Next up, another beer out of Antigua, Wadadli. Liked it, not a main brand like Carib, a real local beer. The challenge this week is love. So much to think about. I love travel, sailing, Lori, my sons, blogging, family. After some heavy thought, I decided that the winning category is beer. 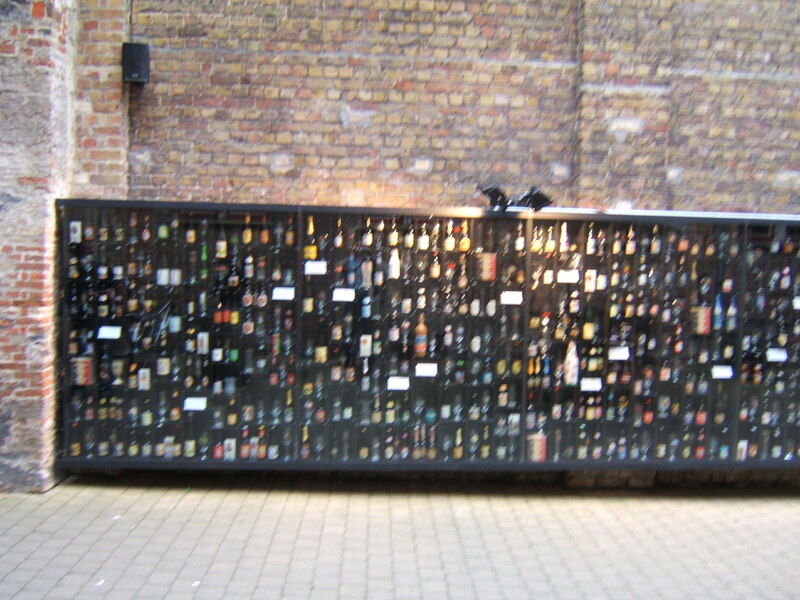 The photo that best describes beer is these shots I took in Bruges, Belgium. 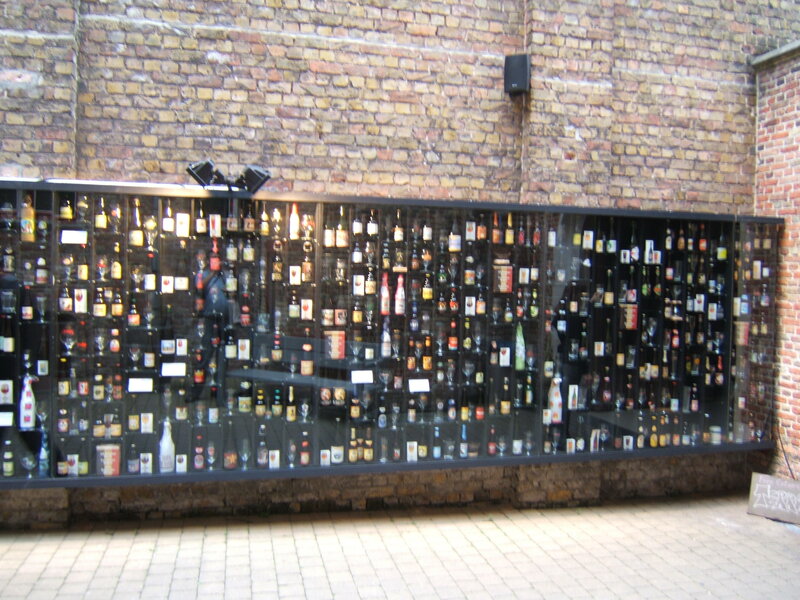 Every beer brewed in Belgium, and it’s special glass, has been put on display in a liquor store in Bruges. HMMMMMMM Beeeeeeerrrr!!!!! Today’s topic is parking at doughnut shops. 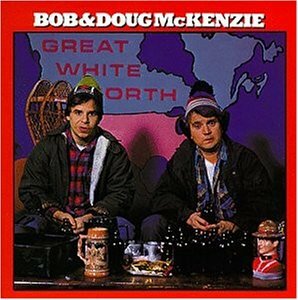 In a global society that the Earth is becoming, I feel it is time to explain what Canadians are. This will be especially helpful to, well, everyone, because we are kind of invisible. Once you have seen this series of videos, you will be experts on a lot of things Canadian. Our first foray will be some factoids on our love of beer. 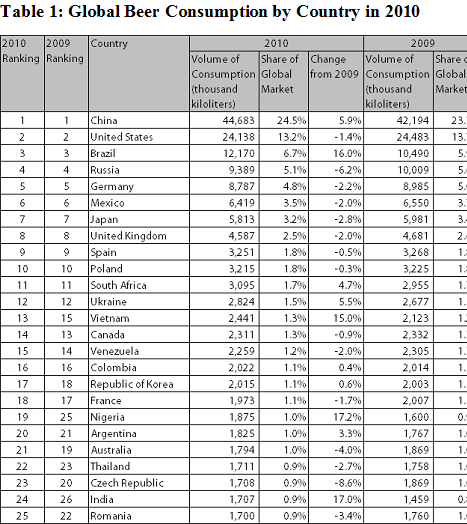 As you can see, we are 14th in the world and dropping in consumption. This, despite my best efforts. I was surprised at number 1, I mean China?? 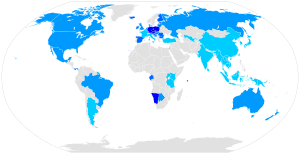 I was going to look for a per capita chart, but could not insert, so here is a link which shows that Canada is only 23rd in the world in this measure. 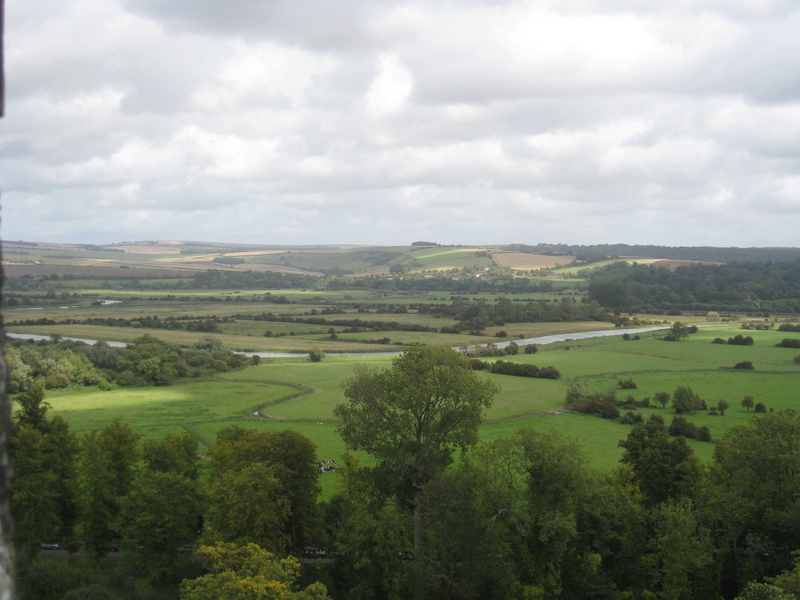 Overlooking the River Arun in West Sussex is Arundel Castle. 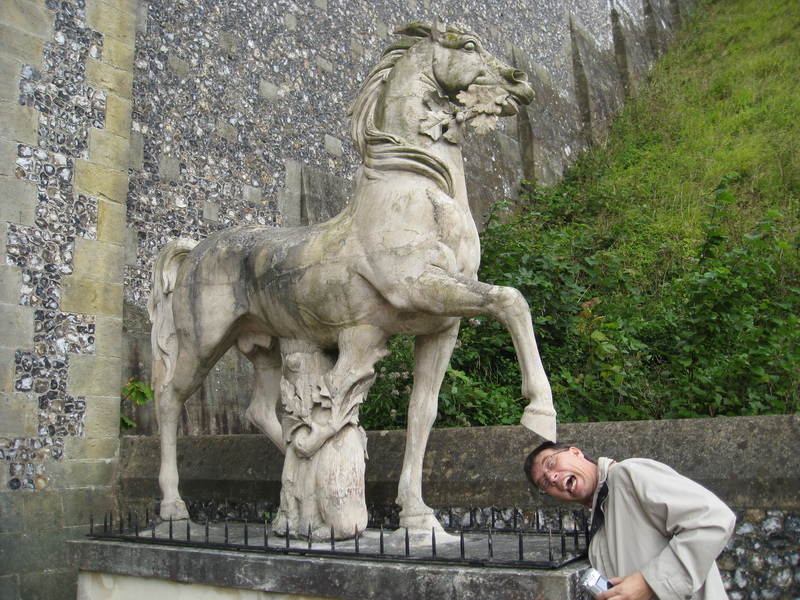 In our adventure in England in 2008, we visited this historic castle. 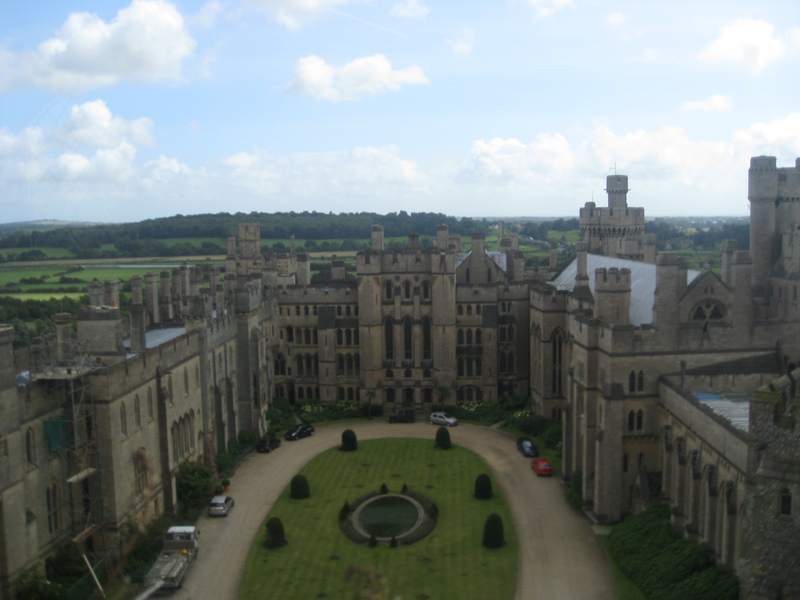 A very imposing place and home to the Duke of Norfolk. 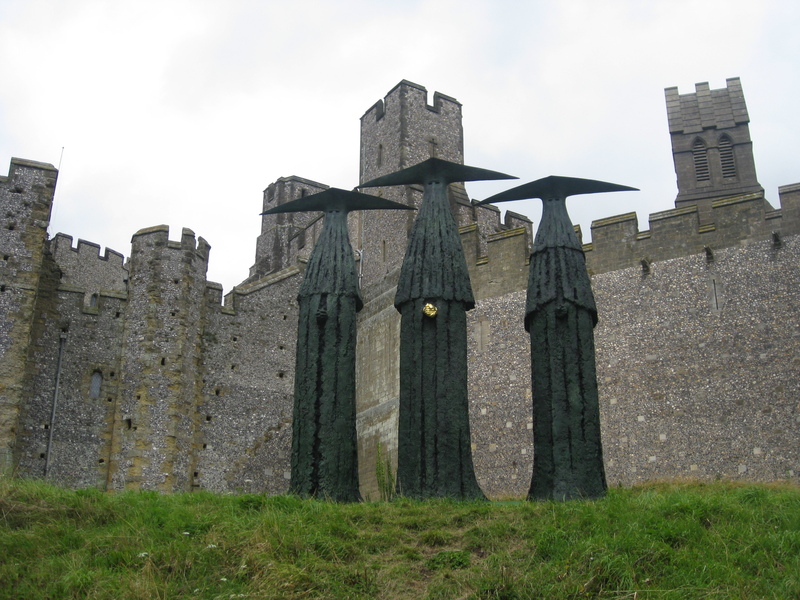 Before we hit the castle, I have to show you what is in the round about on the way into the town of Arundel. Check out the faces. 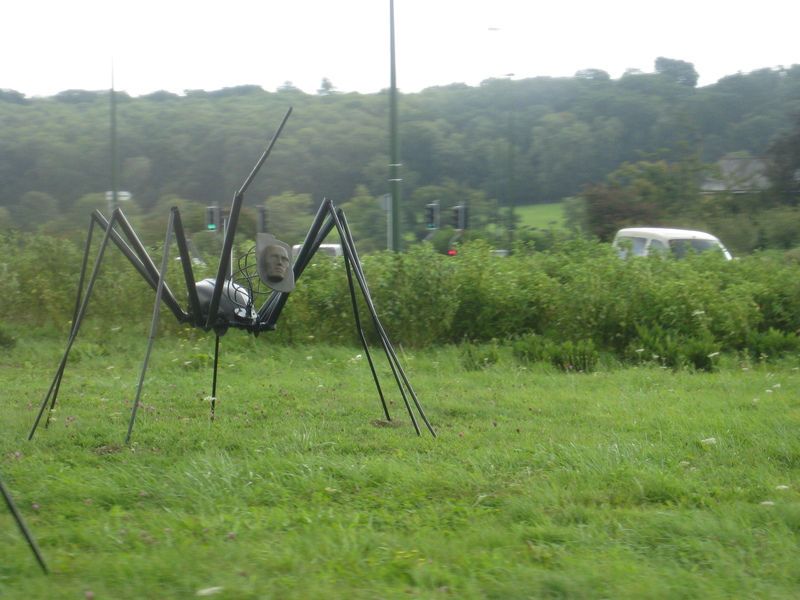 Once left the spider people behind, we approached the castle. 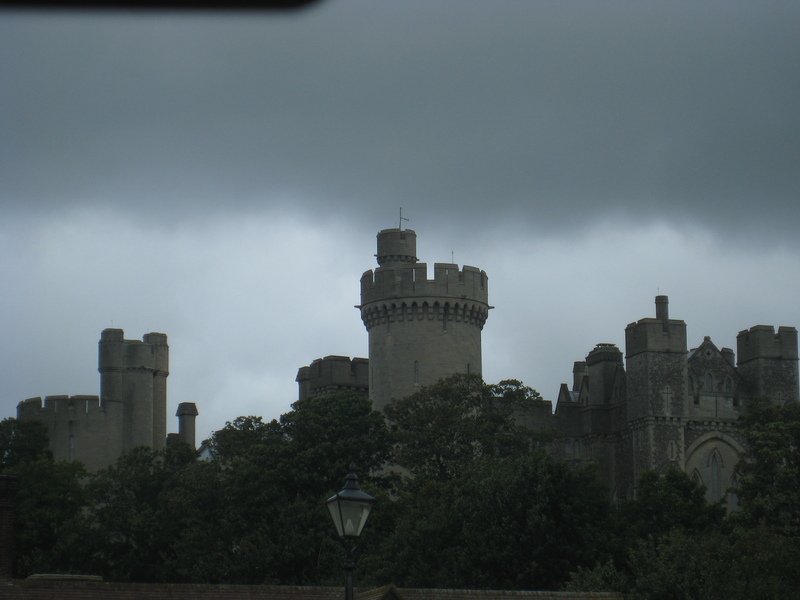 As I said, it is a very imposing structure, especially with a thunderstorm approaching. The grounds were spectacular as well. The Duke lives here and it is well-tended. Certain parts of the castle are not viewable. This is understandable as I know that I have no interest in seeing the Duke’s underwear lying on his bathroom floor or worse. 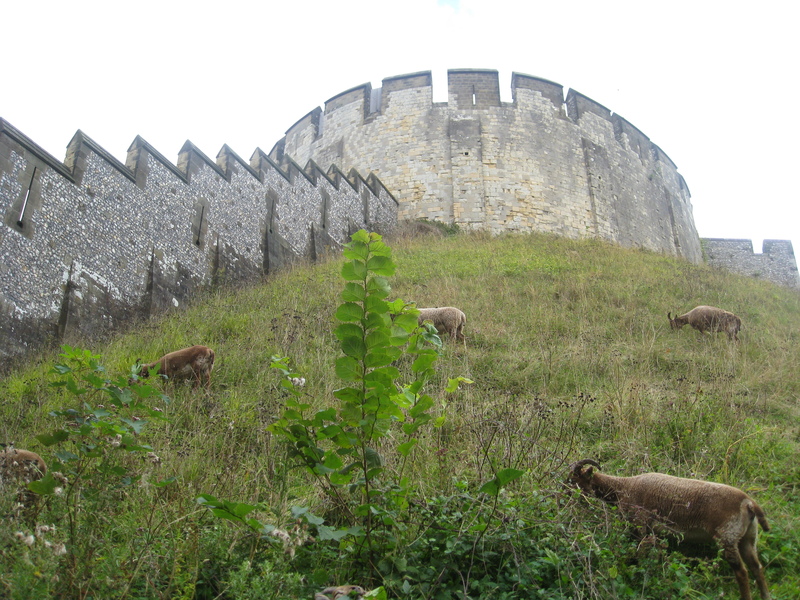 We left the confines of the living quarters and headed for the ramparts to check out the views. We got some magnificent scenery both inside and outside the walls. The English countryside never ceases to amaze me. We left the castle to explore the grounds. We found much of interest including the royal lawnmowers. We also discovered some strange statuary. Not quite sure what they were, other than big and metallic. Farther along, I found a perfect photo opportunity. Unfortunately, I lost that shot in cyberspace somewhere, so I’ll have to substitute this one. 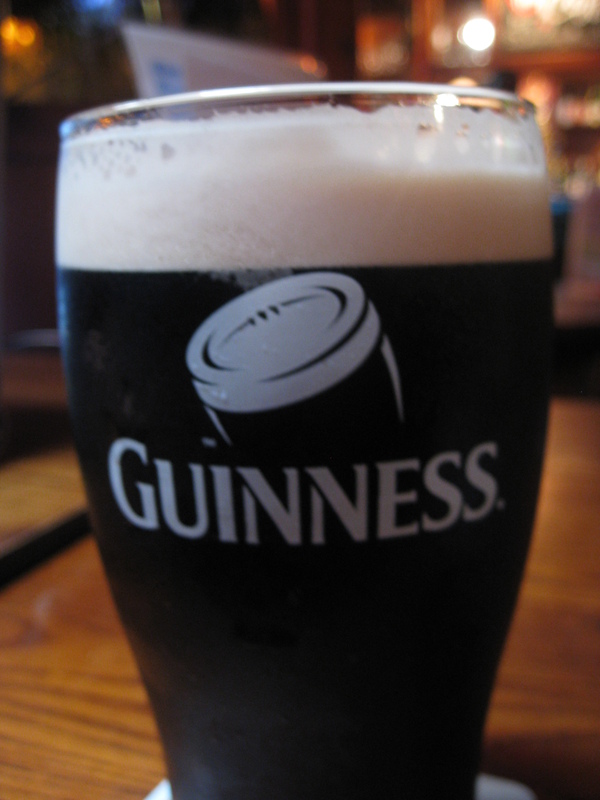 That was enough for the day, time for a cool refreshing beverage, and well deserved. Lori and I have begun, what we believe is, a good habit. We tend to go somewhere for our anniversary. This works well as we married on Thanksgiving (Canadian) weekend, which allows us the luxury of a long weekend, with decent weather and out of “high” season for travelling. This was one of those trips in 2009. We chose Vancouver for this one due to its proximity to Calgary, and neither of us had been there in years. We caught our flight and we were off. 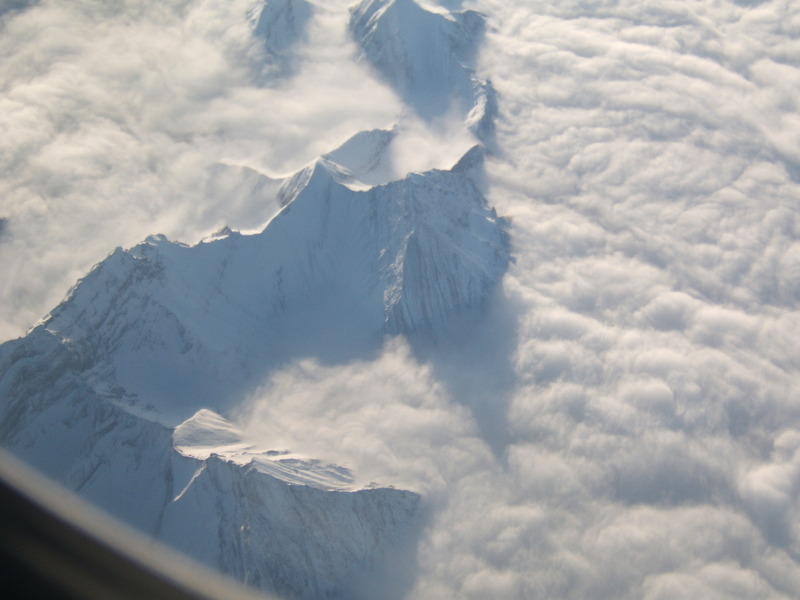 I love flying over the mountains, but this trip was especially spectacular. The snow on the tops, poking through the clouds made a great site to see. This picture doesn’t do it justice. Arriving in Vancouver, we collected our luggage and headed to the Skytrain. Our hotel was in downtown Vancouver. The Skytrain is amazing. The train is driverless and you can sit right up front and enjoy the ride. It is like being on a roller coaster to some extent. I didn’t get the prime seat, so couldn’t film it like I wanted to, but did find this video on YouTube to share. We walked from the station to our hotel. The place we stayed was the St. Regis Hotel. It was recently renovated and may be the best hotel in the city. Last time I looked, it is rated at number 2 for Vancouver on TripAdvisor. I highly recommend this place. Easily one of the nicest, friendliest establishments we have ever stayed in. Prior to the sights, a quick note on food. We ate at two especially good restaurants. 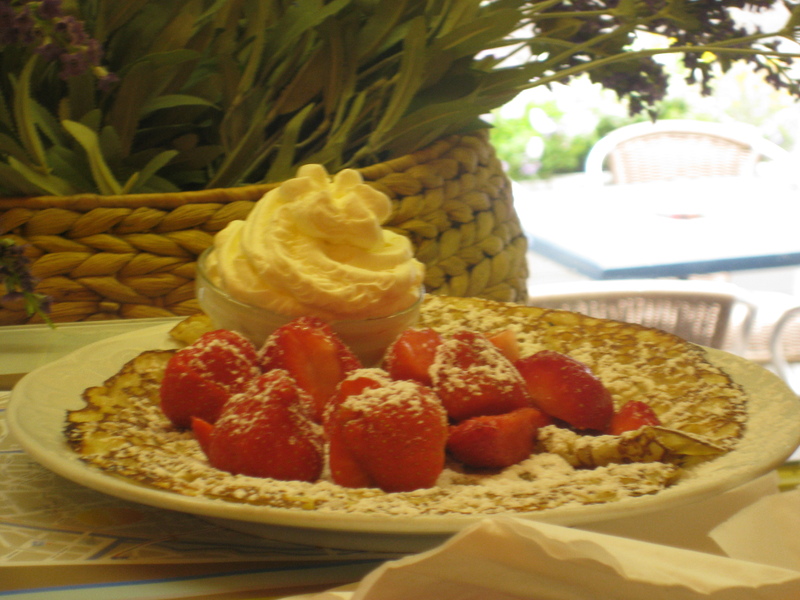 The first was an Italian place called La Terrazza. The atmosphere was kind of stuffy, but the food was very good. The second was The Gotham Steakhouse. The food here was excellent as well. Again, we highly recommend both of these establishments. 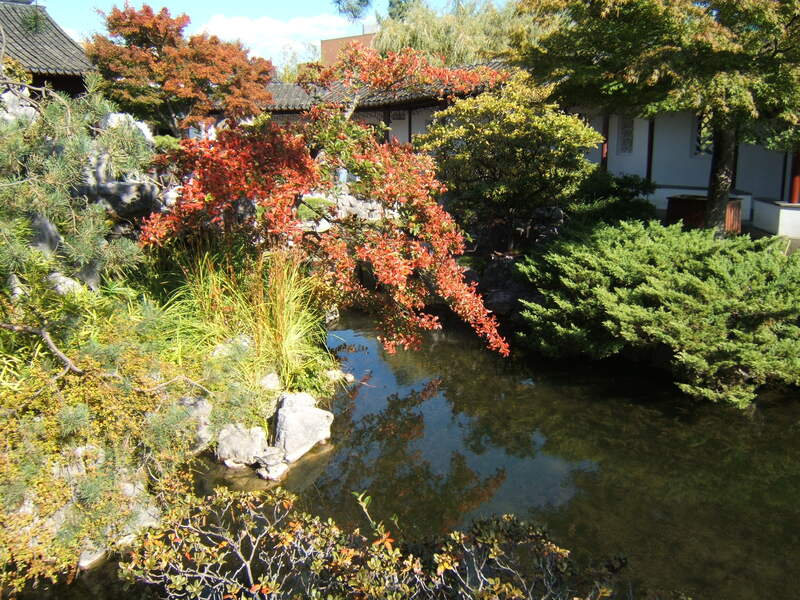 We began our touring with a quick trip to Sun-Yat-Sen Garden. 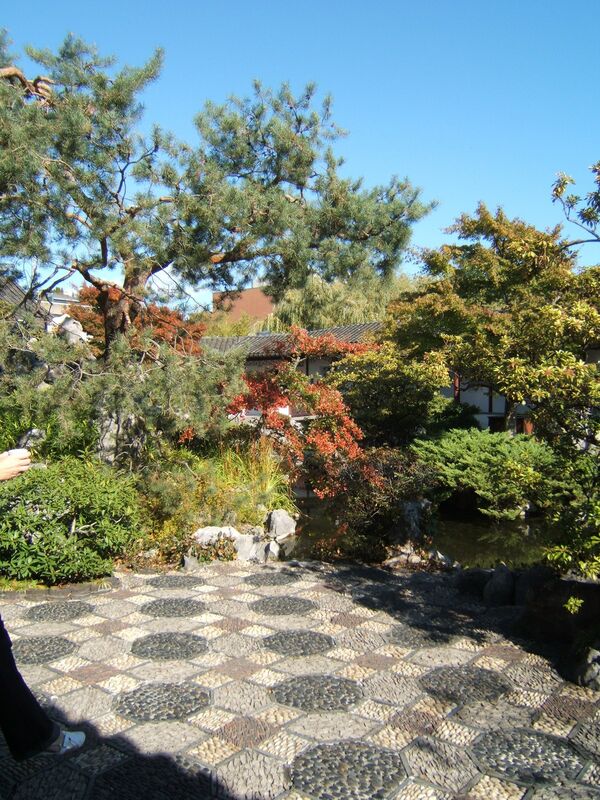 This is a spectacular garden, right in the heart of Vancouver. It is listed in the 1000 Places To See Before You Die and it must be a wonderful place to visit during the summer. We were there in October and it was still a very nice place to see. 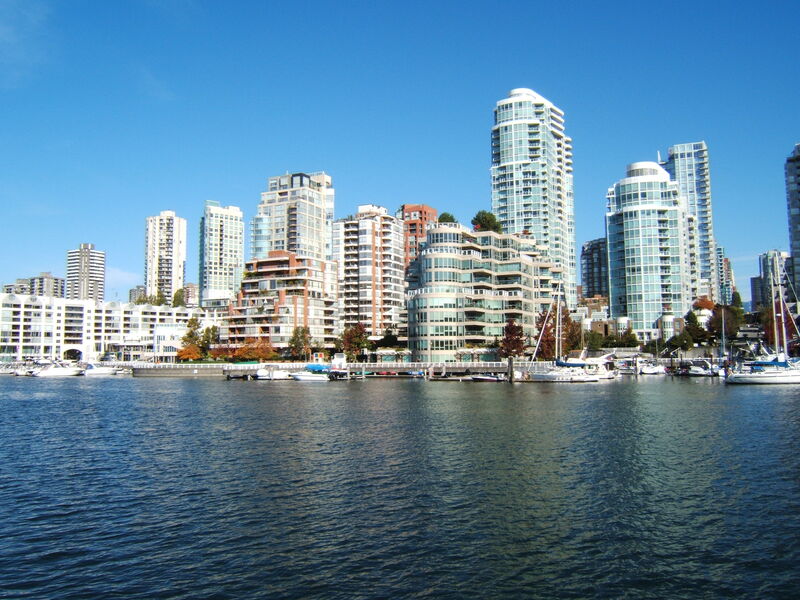 The next day, we decided to go to Granville Island, a popular shopping area, with a large public market. We walked to the island and enjoyed the vistas and the shops. It has been a while coming, but it is time to discuss the best part of Granville Island. 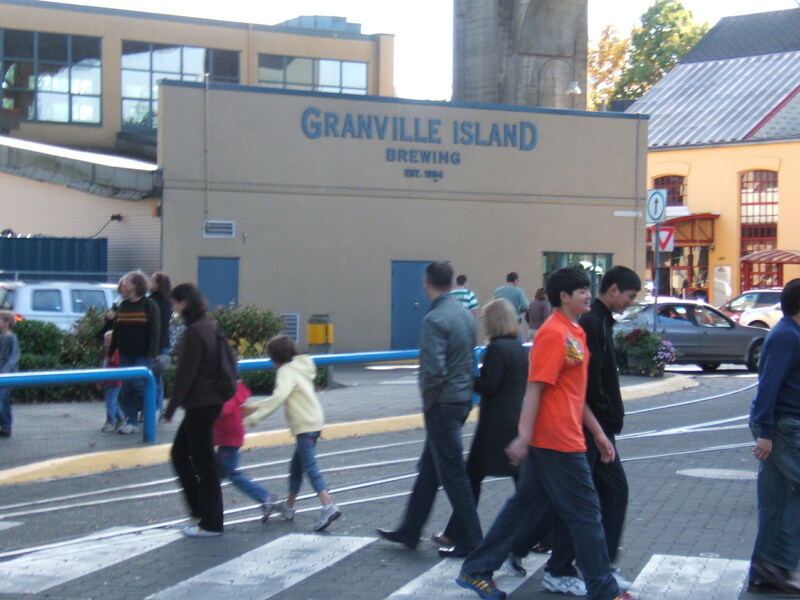 Yes, the shops are great, the people watching superb, but..the major point is the Granville Island Brewery. Jackpot, a whole brewery. 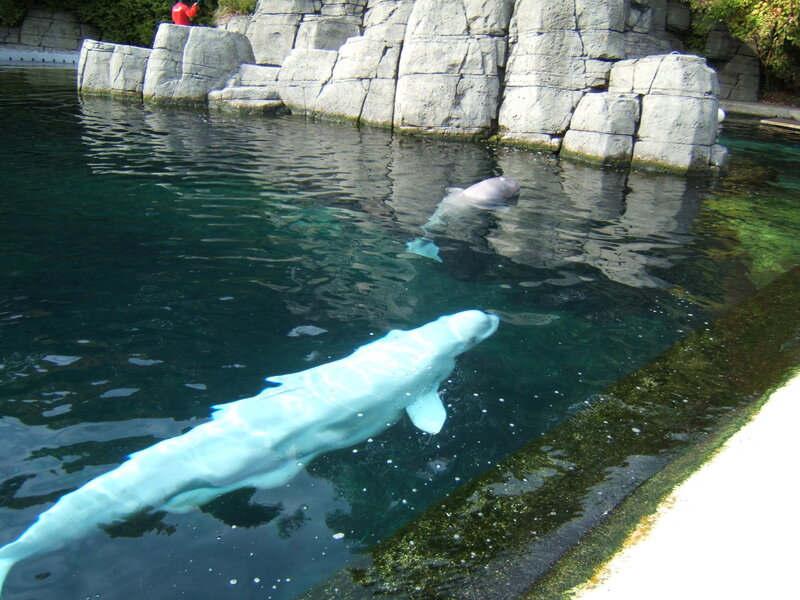 We spent our last day in Vancouver doing the Stanley Park thing, which included a stop at the Vancouver Aquarium. The aquarium is a great place to spend a day. The exhibits are extensive and they have an extensive collection of animals. Our favourite was the Narwhal, a beautiful member of the whale family. To conclude the post, I have but one thing to say about the city of Vancouver. It is one of the best cities I have ever been to. The scenery is magnificent, the people (when not rioting) are uber-friendly. The hotel and restaurant scene is world-class. In fact, there is only one thing I can hold against the place, and that would be the Vancouver Canucks hockey team is based here. If they could move them to Vladivostok or somewhere, the city would be a perfect place to live. 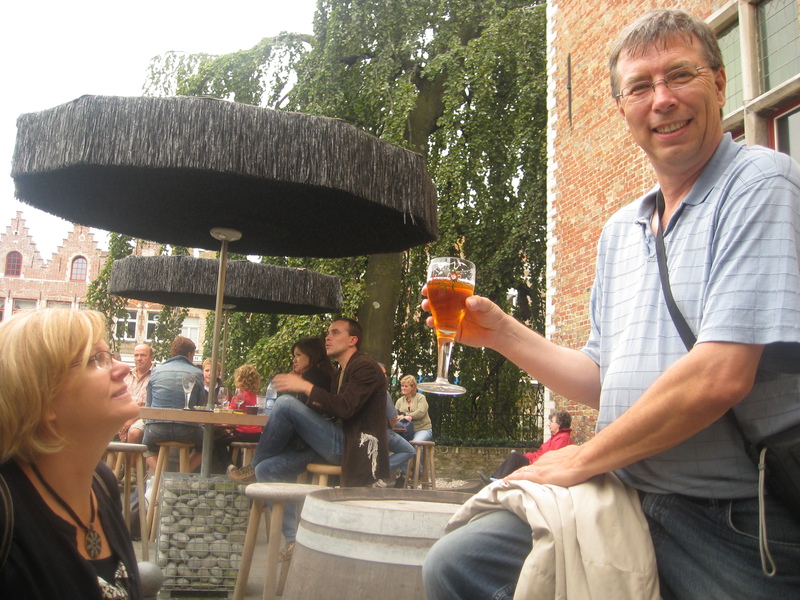 We spent a day and a half in Brugges back in 2008. What inspired us to go there? 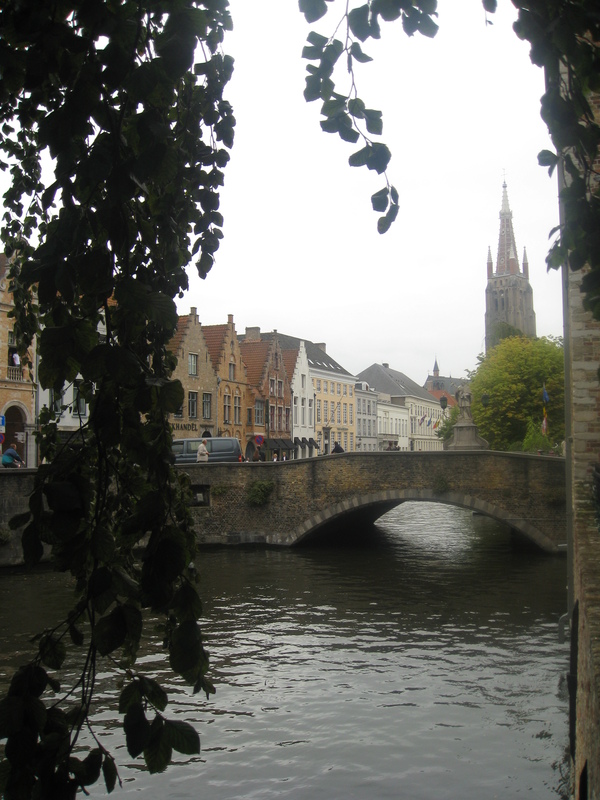 The first reason, its reputation as the Venice of the north, second, the recommendations of Lori’s cousins in England, and third, the movie “In Brugges”. We went to see the movie during the planning stages of the trip while investigating where to go, and determined that it was definitely a place to see. 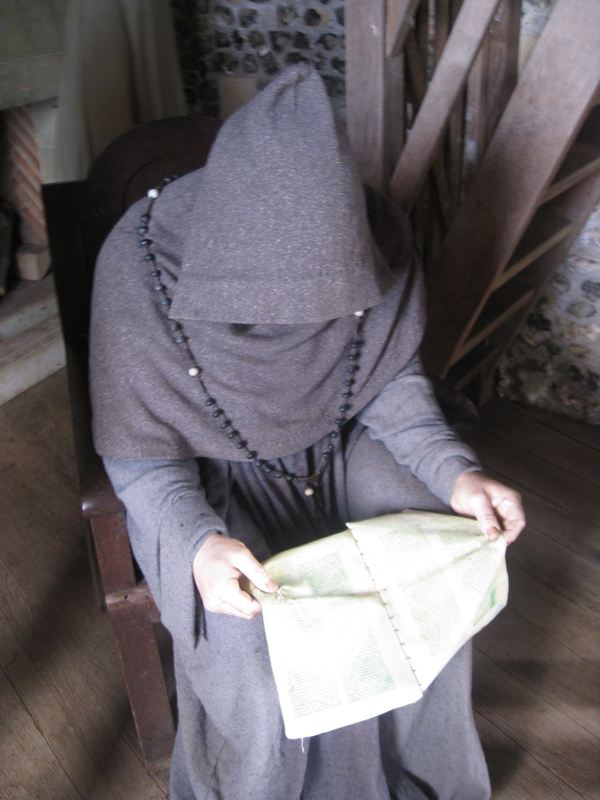 The plan became an excursion through southwest England, then through the Chunnel to France, driving into Brugges and continuing by train into Amsterdam. 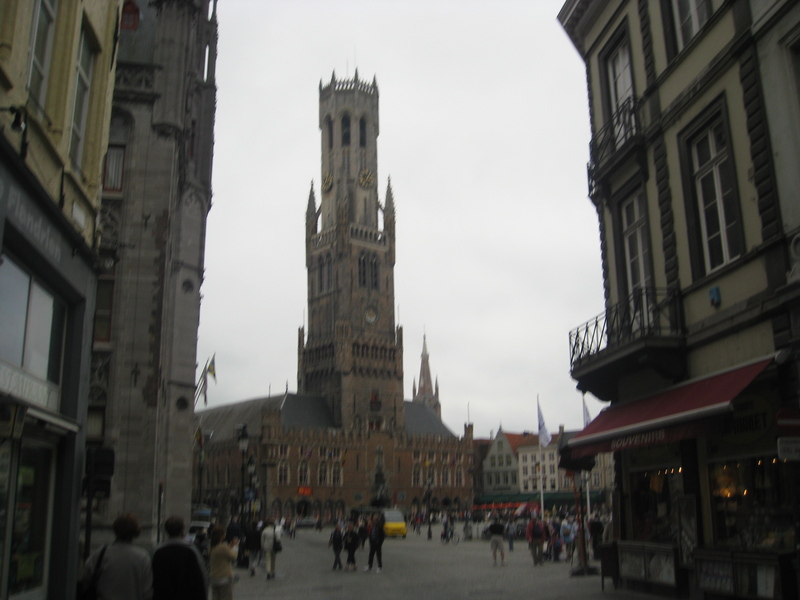 Upon arriving in Brugges, we dumped our stuff at the B&B we were staying at and headed out. Beautiful place. Here is a couple of pictures to give you the feel. 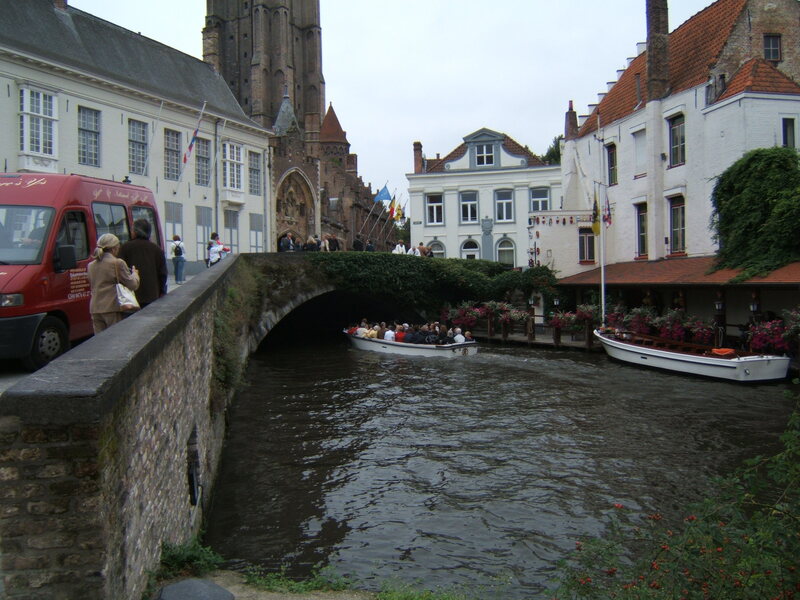 The entire medieval city is lined with canals. We continued on and eventually we made it to the square. This was a focal point in the movie, and is definitely the focal point of the city. It is huge, and very alive. This is our first look as we came upon it. We entered the square and looked about, then went off for lunch. Very enjoyable. 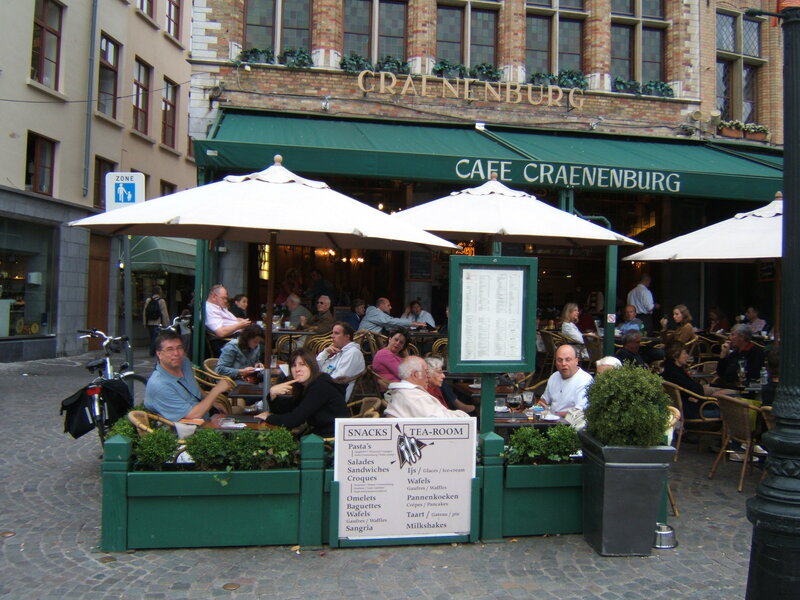 The three major things that Belgium is known for are pictured below. And of course, Beer. 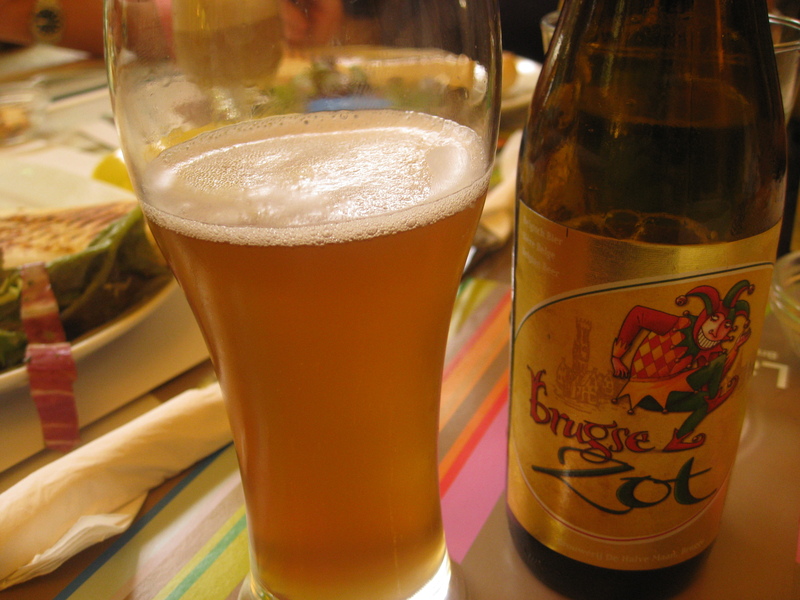 This particular beer is Zot. It is a local brew. One of the best we’ve ever had. We headed back to the square area and did some more touring. Very exhausting. The square is surrounded by restaurants and bars. I found one to my liking and stopped off for another refreshing beverage. Surprisingly, not a beer, but a wonderful hot chocolate. 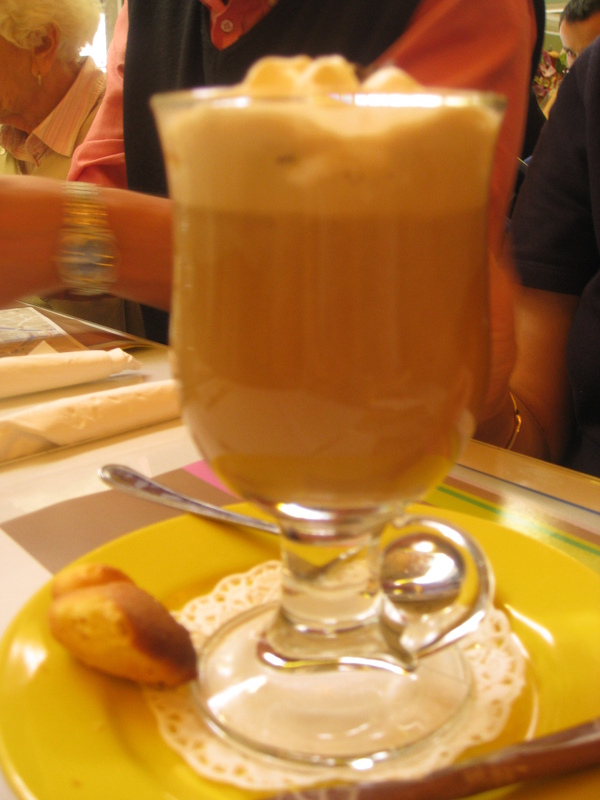 This the third thing Belgium is famous for, chocolate. We left and continued our tour. Then, suddenly and without warning, we walked into my version of heaven. Something so spectacular, I needed three pictures to get it all in. 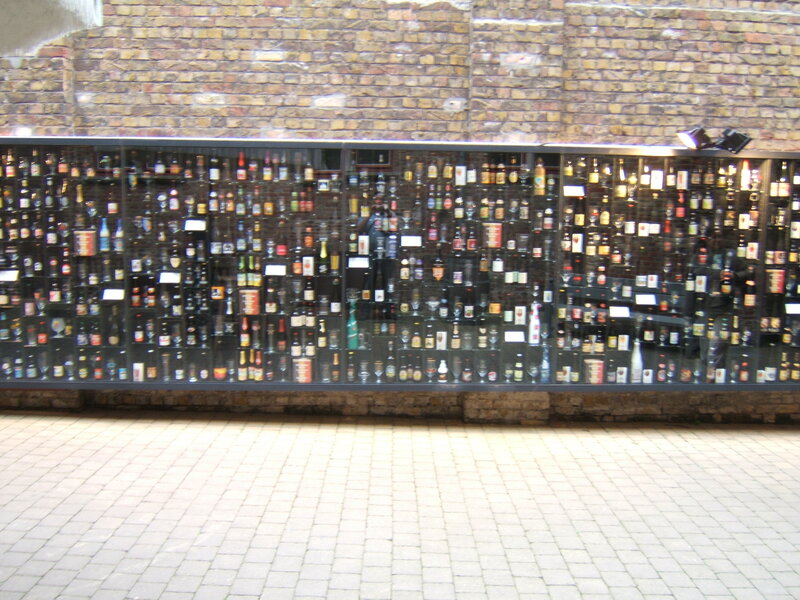 Yes, an entire wall of beer. Each beer is brewed in Belgium and each has its own special glass. Mind boggling. I was completely shocked to notice that there was a bar here, and, being completely overwhelmed and weak in the knees, we had stop and rest. Actually, seeing all this put a pretty big smile on my face. After doing a bit more sight-seeing, all that was left was supper. 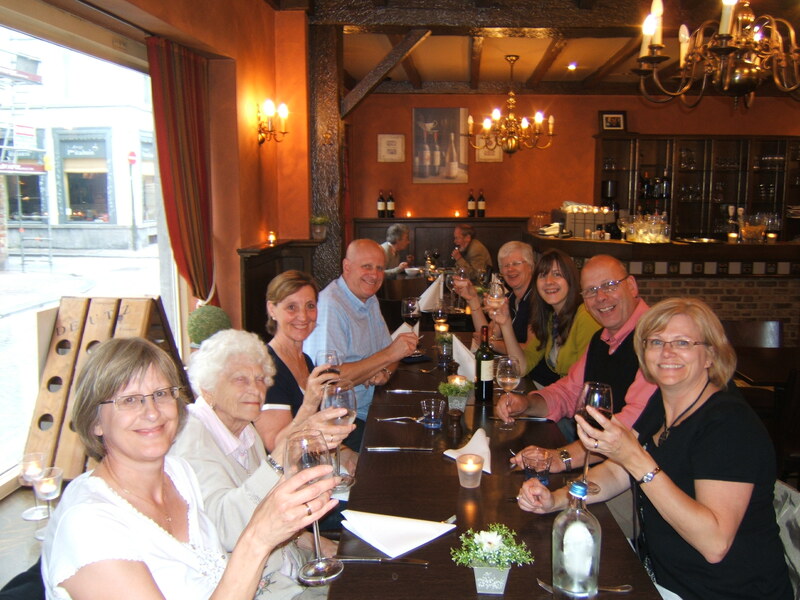 We located a dining spot that could accommodate our entire group and had a fabulous supper (evening in general). There is much that can be said about good, as in good friends, good food, good drink and good times.